Papago Park Village est situé près de l'action à moins de 1 mile de l'Arizona State University, et à proximité de l'avenue Mill. Venir à l'Arizona de voir certains de baseball? Les Cubs de Chicago, Giants de Oakland A, et les anges stades d'entraînement de printemps sont à quelques minutes. Le condo est une courte promenade de train léger sur rail pour un trajet facile autour de la vallée. Profitez du golf de classe mondiale, la randonnée, le tennis, la gastronomie, le théâtre, ou tout simplement se détendre. Cette unité confortable a tout que vous avez besoin d'avoir un séjour fantastique dont deux piscines, un spa, téléviseur grand écran, WiFi, laveuse / sécheuse et est situé dans un quartier calme. This was a very comfortable, well supplied unit with easy access to freeways and shopping. Prior to our arrival owner Rita communicated well. The only issues were excessively slow internet speeds (1.3 Mbps download, .5 upload), tiny tiny ants in the kitchen near the sink and a neighbor issue that is beyond Rita’s control, but she was informed. Nice condo in a quiet development. Close to ASU, Tempe Marketplace and highways to get around Phoenix. Nicely furnished with comfortable beds. The kitchen needs some repairs and maintenance (cabinets old and dishwasher not installed, just slid into the opening). Kitchen and bathrooms well stocked with plenty of necessities and linens. Didn’t use the pool but the pool area looked nice. Would stay here again to visit child at ASU. 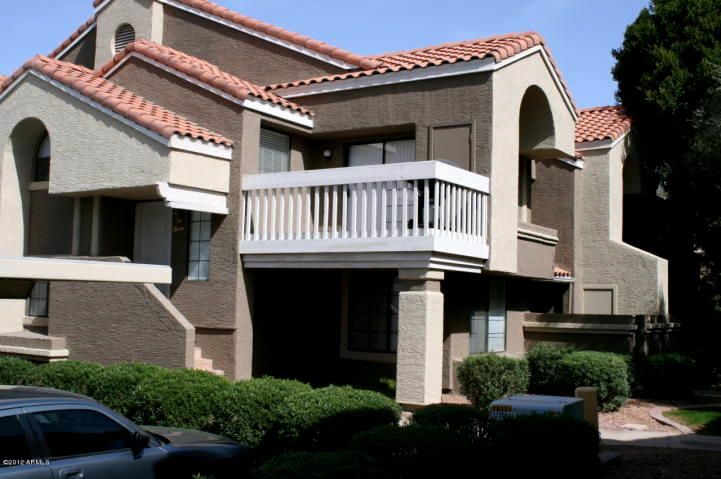 Location is prime to any Tempe event, however the actual unit could use some maintenance upgrades starting at the front door, curtains, flooring, shower head Etc. Also kind of skimpy on the kitchen silverware and countertop appliances. Good location close to ASU. Easy to get to. Apartment was clean and comfortable. Pool was also good. We stayed in this condo the month of February 2017. It was very comfortable, quiet and in a safe area. The kitchen, laundry and bathrooms were all well stocked with general items. The pool and hot tub area was clean and well maintained. Rita was very accommodating for any questions or concerns that we encountered. We enjoyed our stay this year and have reserved it for next February 2018. Nice place. Very accomodating to our needs. We enjoyed our stay. The place was very clean and had everything we needed. Some general maintenance would spruce it up a bit. It was in a great location, very quiet. We would recommed.